Back to school time here in Scotland. And sometimes it hardly seems forty plus years since my first day in Primary One! Over the past week photos have been coming round my Facebook feed of friends’ children going back to school, starting primary or even high school. In Scotland the school year started last week, something that always surprises friends in the south of England. School in August? You must be kidding! But yes, it kicks off three weeks earlier or thereabouts. And breaks for summer in the last week of June rather than July. There was quite a buzz in our house as my first school day approached. I was the only child in the family for quite some time; my mother’s first child as well as my grandparents’ first grandchild. So it must have been exciting for everyone. And although I’ve forgotten most of the build-up myself, I do recall my granddad telling me I’d soon be starting school. Seeing an artist friend’s little boy in the red and black colours of my old primary school brings a smile to my face. What an adventure! Kids’ uniforms are certainly more practical nowadays. My mum took me to Binn’s on Princes Street in Edinburgh to get my uniform which was quite a day out. And I remember very clearly how she decided to get me a different tie simply because she preferred the colours; blue and red instead of black and red. How I stood out in the playground! I can still hear one of the big girls remark “that girl’s got a black and blue tie”. And how I felt annoyed that my mum hadn’t got a regulation one – and you want to be the same as your friends. Nowadays though, I’m happy to have been different, the child of a single parent living with her grandparents. I still have that school tie. My teddy bear is wearing it now, and seeing as they’re about the same age it’s only right he keeps it. In fact, I had a bit of a tantrum on my first day. School wasn’t what I’d hoped for at all. 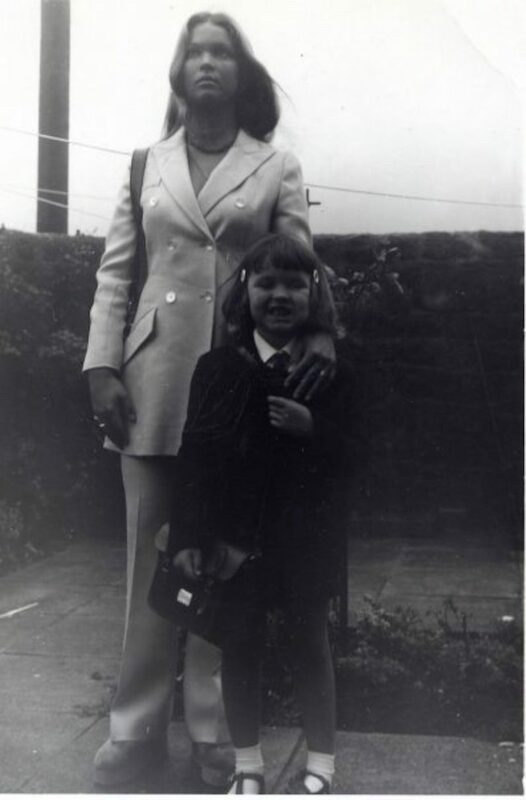 My mum, resplendent in a light blue trouser suit from London’s Kensington Market, took me to my classroom on the first day. On the wall were posters of the alphabet in bold primary colours. And being full of bairns, the whole place was screaming and bawling. But I was expecting a quiet Medieval library with lessons given by men and women of letters. Boiling things in test tubes and looking through microscopes. I was sorely disappointed. “I don’t want to come to this school!” I cried. Just where I got the Renaissance-era/ Game of Thronesy imagery from in those pre-Harry Potter days is anybody’s guess. Other memories? Well, my favourite colour was blue (which meant I must’ve been a boy apparently, according to one of the girls). And because I liked blue my favourite football team was Rangers. But I switched allegiance to Hibernian, an Edinburgh team, when they started doing well. And my favourite pop star was Marc Bolan, cooler by far than Donny Osmond. And most of my pals were boys – but they didn’t like it when I beat them at jacks! Oh, and a piece I wrote about the “Israelights” legging it across the Red Sea made it into the school magazine. Who knew? I didn’t like the teacher in Primary 1 at all. She was a middle-aged woman and I remember her as particularly horrible. No doubt I lived in a world of my own to avoid her sheer unpleasantness. A sleakit girl sitting next to me told her that I’d broken her pencil (I hadn’t) and the teacher sided with her. I got skelped! 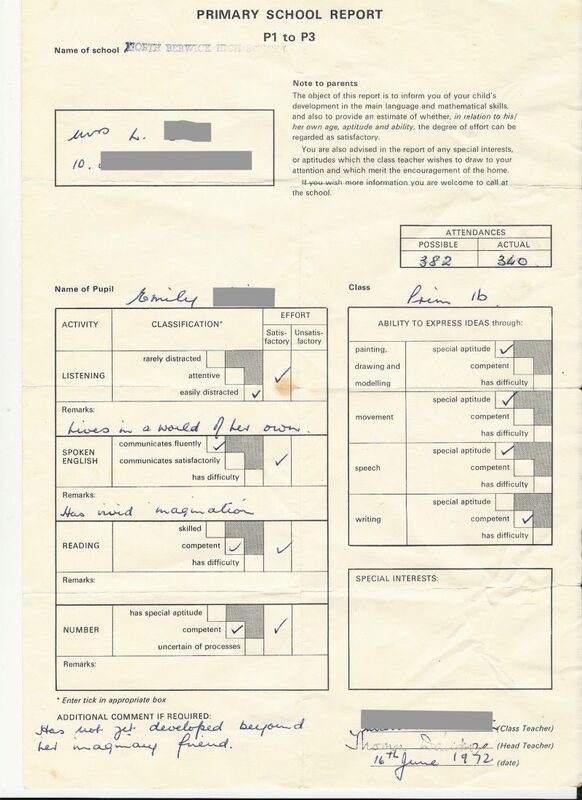 I see on my report I got told off for my imaginary friend. I was an only child till I was nine and nowadays the invention of an imaginary friend for such pre-school children is considered quite normal – bright, even. Not a great way to start school life, though probably more normal in those days to have mean teachers. But the next year was much better with Miss Ross. A much younger and kinder teacher who taught us how to make butter. Mrs. McNab was definitely my favourite teacher. And not just at my first school. As you’ll see by my Primary 3 report, she was a lot more positive. She and her husband even moved into the flat beneath our big seaview home, so I often had her as company for my walk home. One of the best things about her classes was the diary where we’d write up the day, weather and what we’d done the day before. Many a child wrote nothing if they’d done nothing, but I always had something for my jotter. It was on one of walks home that I “confessed” that I sometimes made things up for our diaries. I thought I’d be in trouble for telling fibs, but I guess she knew I was developing my imagination and let it pass. Around this time that I decided I visit Japan one day, so Mrs. McNab organised a class project. I learnt the names of Japan’s major islands: Honshu, Hokkaido, Shikoku and Kyushu. Little did I know that one day I’d live there on two of these islands. Thanks to her, Primary 3b had our small brush with fame as she and her father appeared on the Generation Game. What’s more Brucie got his sums wrong – and they ended up going on twice! Second time around, they reached the final. Mrs. McNab won the cuddly toy 😀 . Happy days. 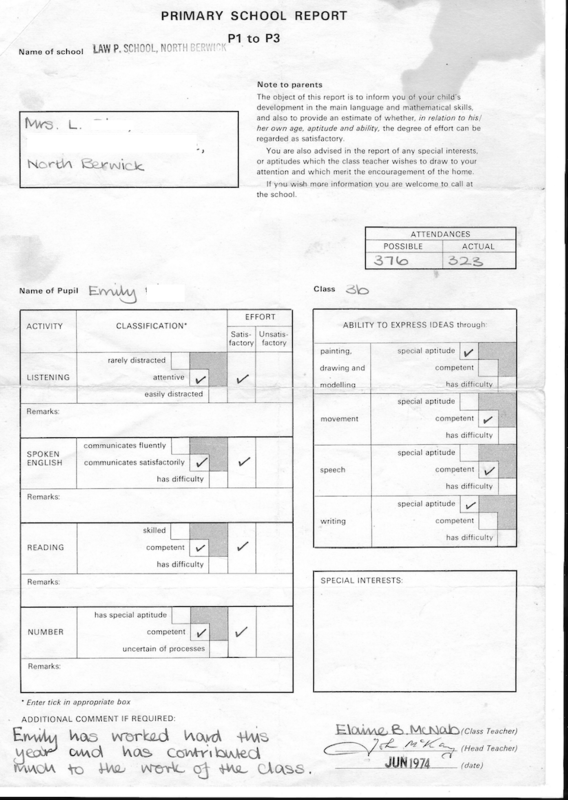 And then, a couple of years after that, I was off to the south-east (of England) to start a new chapter, but one I definitely remember with far less fondness. And how about our art lessons? The seeds were sown art-wise in primary school, judging by the old school report. I don’t remember anything in particular, but art was very much part of our day in Mrs. McNab’s class when we illustrated our diaries in our jotters. A couple of years ago when I was in town sketching, I popped in to what is now a community centre to see if it was possible to see inside the building. A lady leaving work for the day saw me hanging around and kindly showed me round. I saw the little hall where we’d have assemblies and games lessons. I popped my head round the door of an art class, explaining to the students I was forty years late. The portacabin that housed P3 is long gone and an inside partition divides the community centre from a nursery. 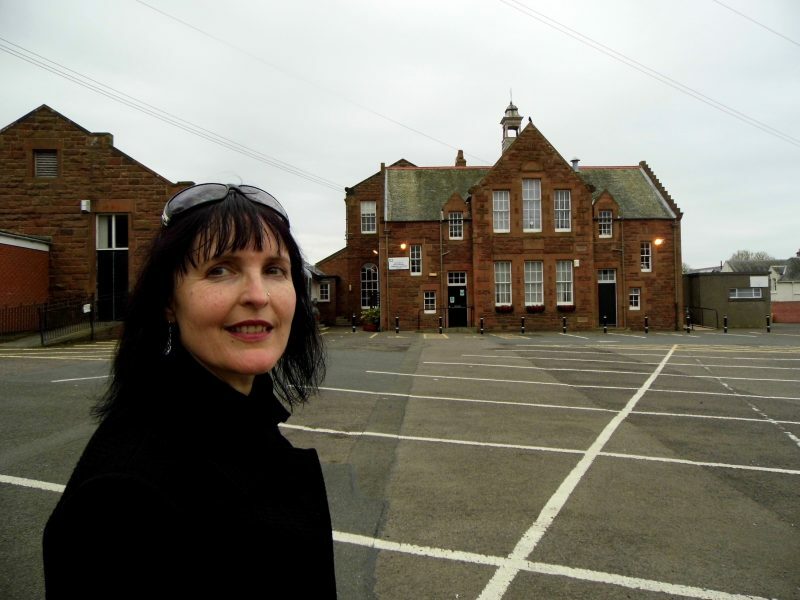 And I slipped even further back in time to P1 – but which one was my classroom? Where was the nasty teacher who announced to the boys at the back that if she stopped playing it was because she’d be “smacking Emily”? So fleeting, yet it seemed like the whole of my life. And back then when all of my life measured less than a decade, it really was. 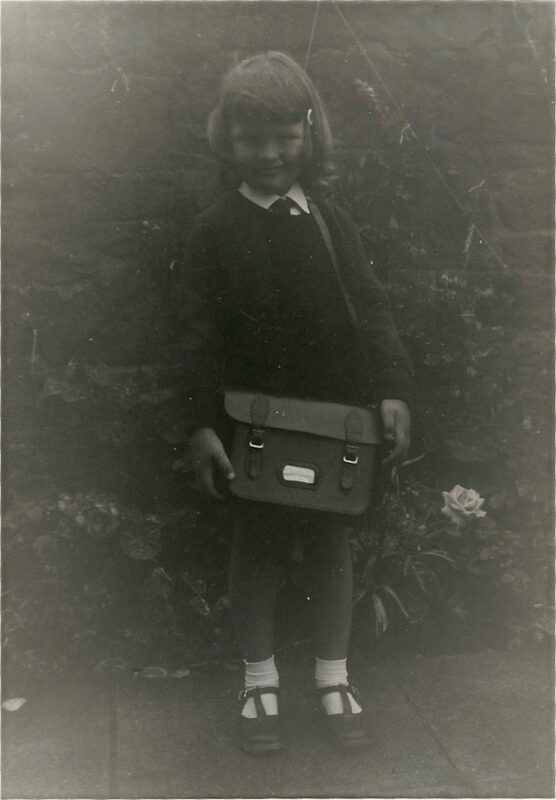 Do you remember your first day at school? leave me a comment. "Adventures with my sketchbook: Cloch lighthouse"
Good article! I love the pics!